Alberta Street @ 24th sitting pretty with Gumba, Crane and Fine Goose. Milwaukie Station Food Carts flanked by Fizzy Floats & Teppanyaki Hut, with many other carts to enjoy all the international cuisine. After years of cooking across the country, Laurent decided to go to the front of the house. It is here that we had the opportunity to try a hand at being small business owners. Prospect Bottleshop & Bar on 1611 NE Killingsworth Street was our first foray into the business with partners. 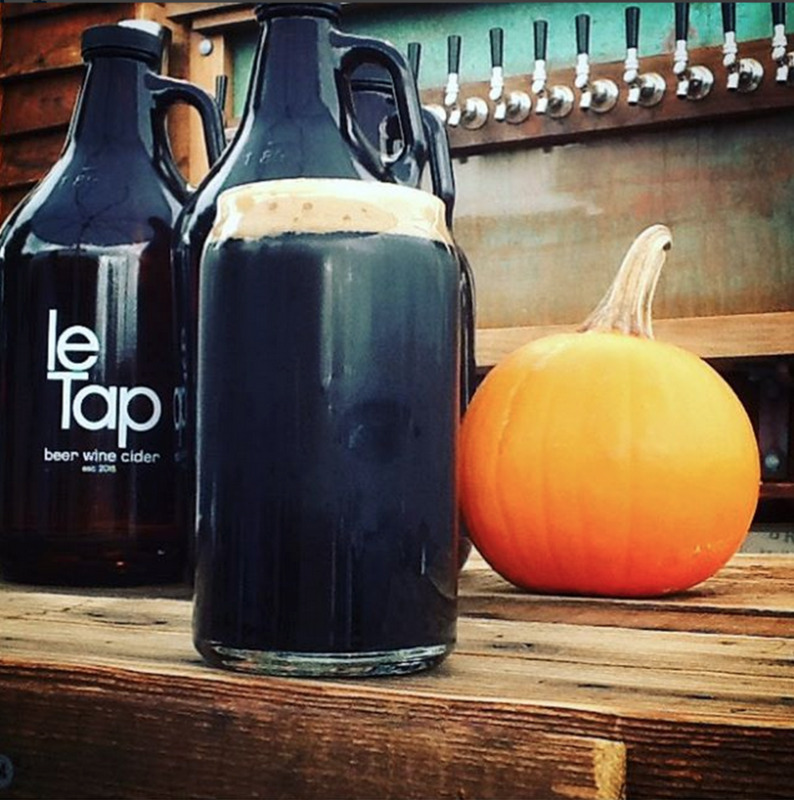 Le Tap is near and dear to our heart because it is our own venture. Le Tap is our own brand, it is a nod to Laurent's heritage and our love for all things on tap. We select delicious, local craft beers and ciders at their freshness peak. We find rare kegged wines to give you our customers more choices. Multiple taps will carry your favorite libations: beers, ciders and wine. Now at multiple locations. It doesn't get better than this at any other cart in Portland! Join us 7 days a week when the weather is good. Watch closely for our winter hours, we're a small business and weather impacts us hard. Whether it's for indoor or outdoor gatherings, we can bring our amazing beers to your next event. Corporate functions, weddings, or just a big ol' private party, we can accommodate your needs.